As a family run business with a lot of experience in this field, we are committed to providing a personal and professional service to all our customers, old and new. So whether you are certain you want to scrap your car and want a quick and easy deal, or if you just require some more information about car scrapping, Kilmarnock Car Breakers in Ayrshire will gladly assist. There are many benefits to scrapping your car. Firstly, it is a quick way of getting rid of your car if it is old, beyond repair or simply not roadworthy. You can use this opportunity to get some money quickly and easily. With Kilmarnock Car Breakers it is also hassle free. We know that life can be busy and scrapping your car might not be something you have a lot of time for. Therefore we believe in providing a convenient and quick way for you to scrap your car or car parts in Irvine, Ayrshire. What’s more, turning old vehicles into scrapping cars is very beneficial for the environment. Many people become concerned with the wasteful nature of our planet. There are many items that just get thrown away, to fill up landfill or to sit and rust in an unsightly way. 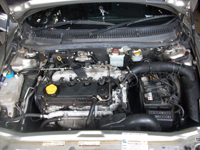 However, there are many parts of your old car which could possibly be used again on another car. This provides an excellent opportunity to help the environment while also ridding yourself of your unwanted car! Recycling in this way is a great way of turning your old car to good use, whether this be your old hood bumper, the interior, the mirrors, windows or part worn tyres. 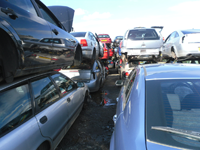 Ayrshire based customers also agree that scrapping your car will provide you with more space. Old cars can use up a lot of space, sat on a driveway or in a yard. They can sit for years rusting away, getting no use and using up valuable space. By removing these cars and scrapping them, you can free up your space and tidy up the look of your property at the same time. If you are looking to find a particular part for your vehicle we offer a list of car accessories and parts across Ayrshire. Many of our customers agree that they would use our services again – we hope you’ll be back, too! For any more information on all of our services, please do not hesitate to contact us today on 01563-501-135.